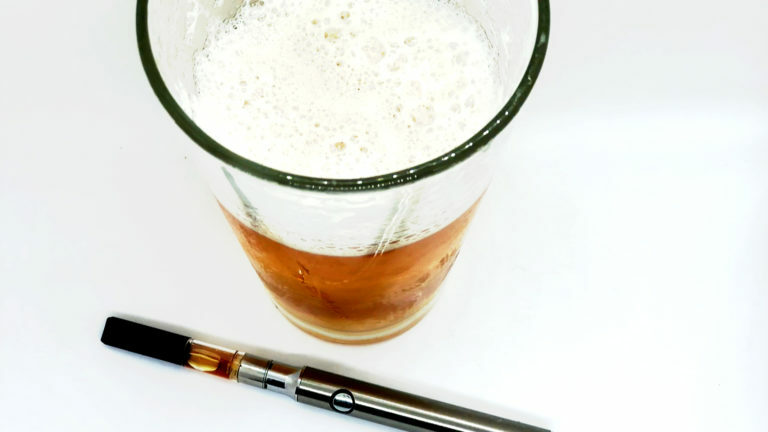 If you drink alcohol and/or smoke marijuana, at some point someone must have asked you (or you have asked yourself) “which one is worse for your health?” If you did not know the answer to this question, we’ll try to clear things up. Answering the question of “which one is worse for your health?” is in fact quite simple and clear. The answer takes into consideration how these substances affect several parts of your body, including the lungs, heart, brain and also the probability of addiction. Time is also important in this equation. Not all of the effects show up immediately, and it may take months or even years before they manifest. Now, for starters, this certainly isn’t the most fair of discussions. One must consider that since alcohol is a legal substance, the research performed compared to cannabis-related studies is much more robust. Due to the legal status of cannabis at the federal level, the FDA heavily restricts the necessary research that cannabis deserves, however things could be moving in the right direction. Let’s begin with probably the most concerning factor of all – the number of death’s related to these substances. In 2014, more than 30,700 Americans died from alcohol-induced causes, while there haven’t been any documented deaths from marijuana use alone. These 2014 numbers don’t include drinking-related accidents or homicides. If those were included, the number of deaths that are alcohol-related would be closer to 90,000 deaths, according to the National Institute on Alcohol Abuse and Alcoholism. A 1994 survey asked more than 8,000 people from ages 15 to 64 about their drug use, and only 9% of those who used marijuana at least once would “fit a diagnosis of dependence.” For alcohol users, the number was about 15%. To give you a better perspective, the addiction rate for cocaine was 17%, heroin was 23% and nicotine 32%. Considering driving under the influence of both these substances? The answer will always be no. Smoking cannabis increases the chances of an accident by 83%. If this number scared you, it is even worse with alcohol. A blood-alcohol level of 0.05% increases the chances of a car accident by 575%. Alcohol has been linked to various types of cancer, unlike cannabis. The US Department of Health also has alcohol listed as a known human carcinogen. A research by the National Cancer Institute suggests that the more alcohol you drink, or the more regularly you drink, the higher is the risk of you developing cancer. With cannabis, some research initially suggested a link between smoking and lung cancer, however, that was debunked. A report found that cannabis had no connection to an increased risk of the lung cancers. All in all, marijuana simply needs more high-level research performed. Not only is this research needed so that any negative affects can be discovered, but also to further the immense number of medical benefits that the plant has already shown time and time again. Marijuana vs. Opioids: Which is More Effective for Treating Pain?